50 Words on – Why you can go Broke with IForex? I’ll cut right to the chase with this one: I am simply amazed at the amount of negative comments regarding this brokerage. There’s such a negative vibe around iForex that I could easily say that everything about them could get you broke. There’s no live chat support, they don’t offer a demo account unless you deposit money first, the platform is clunky and apparently their representatives are too pushy in making you deposit more than you originally intended. Also, if you follow their trading advice you will make some money on the Demo but when you go live they either stop giving you advice completely or they turn into the worst traders on the planet and make you lose everything. Deposit the minimum amount and monitor for out of the blue slippages, spread increases or price spikes. To do this you could use the price feed of a more reputable brokerage. Never take advice from iForex representatives. Actually this applies to all brokerages: if you want to trade Forex, learn to do it on your own. Make a withdrawal. As soon as you can, you should test their withdrawal procedure and responsiveness. Keep in mind that in the beginning things could go smooth but slowly go sour once your account grows so make sure you withdraw periodically. Do not accept any type of bonus. This applies to all brokerages because any bonus will limit your ability to withdraw. Avoid trading during news releases because that’s when spreads increase and price manipulation is done more easily (if you are dealing with a crooked brokerage). You will probably be asked to deposit more money. Do not even think about it! A respectable brokerage is not supposed to try to convince clients to increase their deposit and thus the risk. If you want to deposit more because that’s your plan – fine. But don’t deposit just because a sales rep sweet talked you into it. Please do some reading. We have tons of broker reviews… maybe you can find a better partner for your Forex trading. Positive Comments, Where Art Thou? 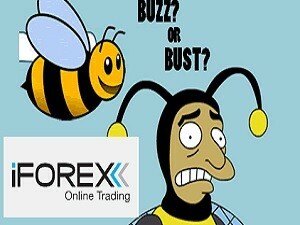 A simple google search for iForex complaints will return tons of results. On one site they even get a 1/10 rating out of 515 votes, on Babypips.com people warn about dealing with this brokerage, on earnforex.com they do the same  so maybe it’s probably best to think twice if you want to become one of their clients. I am going to try and keep this short and to the point: their sales reps push you to deposit, their web platform is obnoxious and the downloadable version is rudimentary at best, there is no trace of Meta Trader 4 (so forget about using EAs or custom indicators). Uh, should I go on? Yes, probably. Let’s talk about their spreads: on their website they offer a table displaying the available spreads – 2 pips for EUR/USD and 3 for GBP/USD. USD/JPY also has a 2 pip spread. These number are all right (not amazing) but if you read the fine print you will see this: “iFOREX reserves the right to widen spreads at its own discretion.”. In other words, if they feel like it, they can charge how much they want. And if you keep reading, here’s what you’ll find: “Spreads are automatically determined according to the amount of your first deposit.”. This means that if you deposit the minimum amount you will probably get wider spreads than the ones displayed in that table. Yup, it’s bad, but it also gets Ugly. This is the section of the review where I have to find the good side of a broker and lay it out in front of you but it’s never been harder. I have been staring at my screen for almost half an hour now and words of praise simply won’t come out. iForex have been around since 1996 but I’m not sure that’s such a good thing. After all if your catch a cold and you can’t get rid of it for several years, does that mean the cold became something good? Not really. I have something that could make a difference though: iForex offers negative balance protection (or so they say). This means that if your account somehow enters negative territory you won’t owe iForex any money. Due to margin calls, Forex accounts shouldn’t reach a negative balance but some events have such a huge impact on the financial market that losing trades cannot be closed by regular Stop Losses or Margin Calls. That’s when negative balances appear and that’s when the client owes the brokerage money. If your brokerage offers negative balance protection, you will lose the money in the account but at least you will not end up owing money. 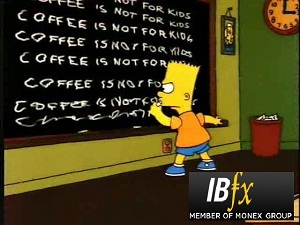 iForex protects its client against negative balance… according to them. Let me finish this section by telling you about Mr. Pips: it’s their mascot and it might be the only good thing iForex did for its clients. Yea, that’s all. No witty remarks. Editor’s Note – Is iForex a Scam? iFOREX (Cyprus) Ltd is regulated by the Cyprus Securities and Exchange Commission (CySEC)  so I cannot call them a Scam… but everyone else seems to do so. I believe that throughout this review my opinion regarding this broker came out very clear. Would I Trade with iForex? Unfortunately, I did. Yes, this was the first broker I traded with. I didn’t know anything about Forex and I was easy prey. The spreads were higher than displayed on the website, sales reps kept calling me to deposit more, telling me there’s a huge opportunity to profit in a few hours, all the regular bull****. When I don’t like a brokerage I say stuff like “If this were the last brokerage on the planet, maybe I’d give them a shot”… but this time I tell you this: If this were the last brokerage on Earth, I’d stop trading Forex.